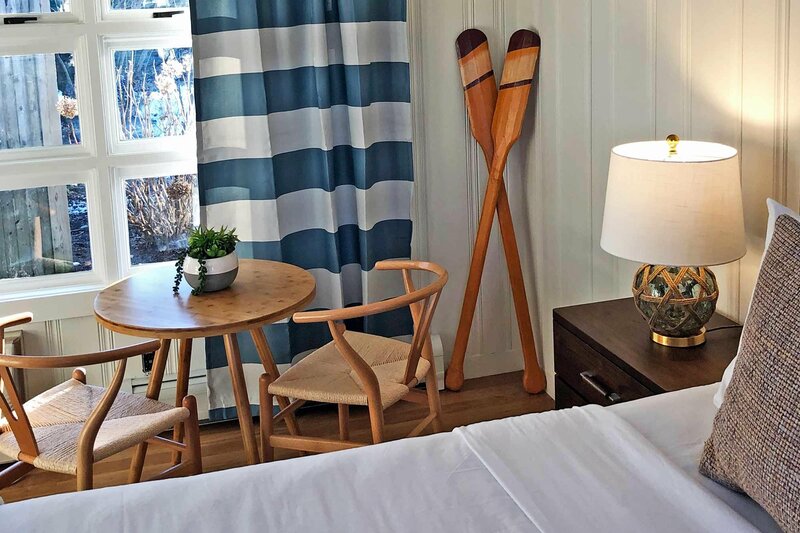 Our central in-town location offers a tranquil and peaceful atmosphere, yet you are only steps away from Provincetown's fine shops, restaurants, and beaches. We are only one-half block from Cape Cod Bay and its beach. The National Seashore and the ocean beaches are within walking distance. 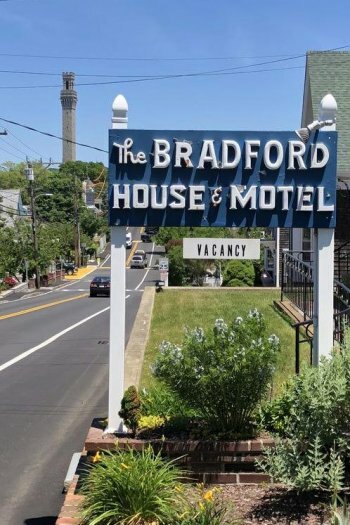 Once at this excellent location of the Bradford House there is no need to use your automobile because we are situated between the two main streets of town and only a 5-minute walk to the very center of town and all of its activities. We are only one-half block from Provincetown's Bay and Beaches. You will marvel at the spectacular sunrise over the bay as seen from our deck on the upper level of the house. It offers a great place for suntanning throughout the day. From here you can enjoy the beautiful colors of sunset at dusk. Also, you get a chance to meet other guests and enjoy their company. Provincetown is the home away from home for many artists and writers. Many like Eugene ONeill, Norman Mailer, Thoreau, Lambert, and Hawthorne have enjoyed the peaceful small town that encouraged their art and writings. Famous artists have captured the scenes of Provincetown for the world to enjoy. Provincetown boasts many fine restaurants serving fish, lobsters, clams, oysters, and scallops. With ninety restaurants to choose from, your dining pleasures will never be boring. You will always find something new to enjoy. Provincetown also has the finest whale watching fleet in the U.S. The whales are abundant here most of the year. The harbor with its fishing fleet provides you with many picture-taking opportunities. Provincetown in the offseason has crisp Spring and Fall days which encourage walking or bicycling to the beaches and dunes. You can always find a quiet spot to enjoy a picnic or just sun yourself protected from cool breezes between the dunes. For the more energetic, the bike trails through the dunes are stimulating and refreshing. 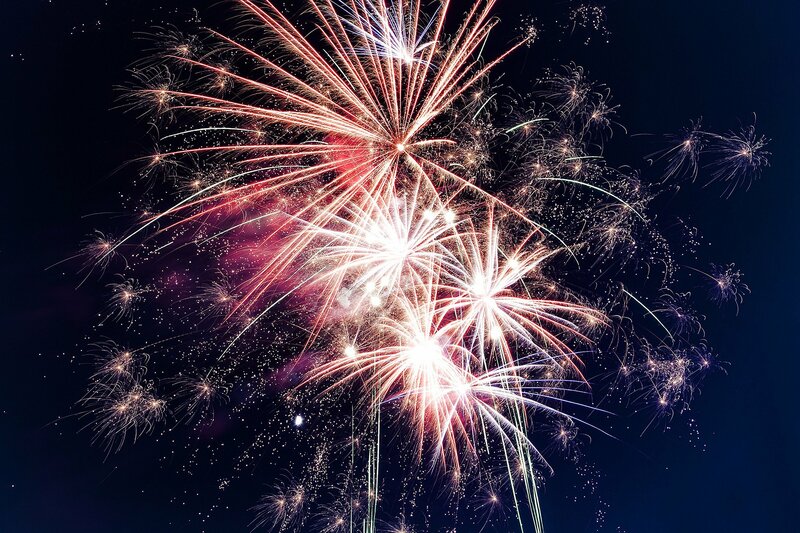 In Provincetown, you can enjoy the most exciting, busy, fun-filled vacation or a peaceful, quiet and relaxing one. The choice is yours. The Bradford House is open year round and welcomes guests for an enjoyable stay!